Here are photographs of a coconut water vendor doing his job in India. 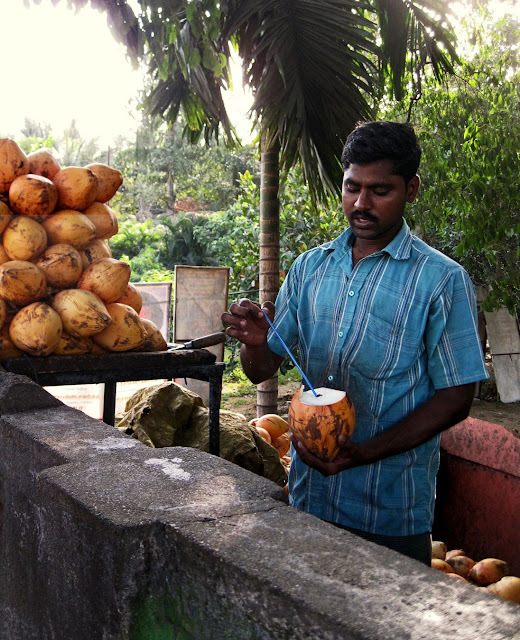 Drinking coconut water is popular and some like eating the white fleshy kernel as well. A healthy and safe drink, and fresh too! Nutritional benefits are from the plenty of vitamins in it like C and Riboflavin and also coconut water is a good source of minerals including calcium. 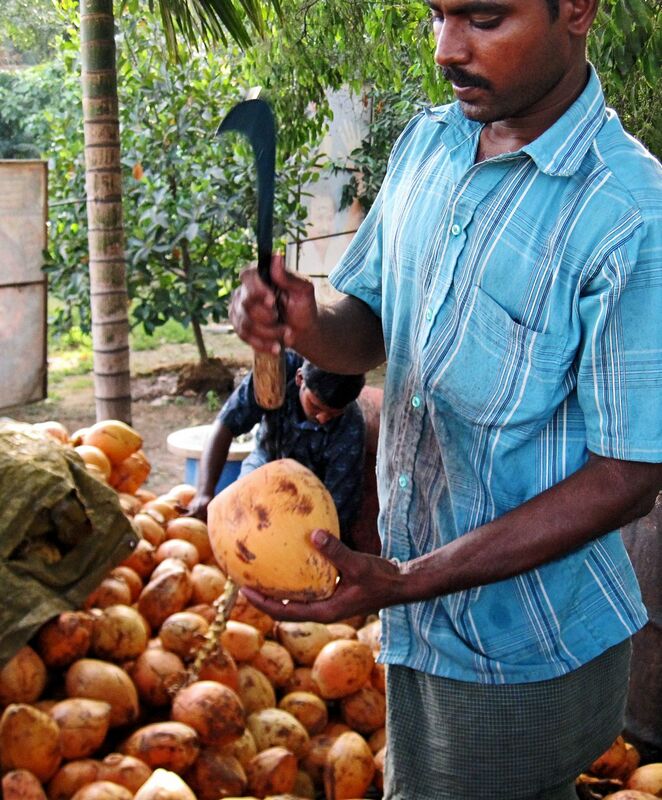 Here is the vendor about to slice open the selected coconut. Around 250 gms of coconut water gives you just 50 calories and therefore it is a great low fat drink and very nutritious. In this picture he cuts it open. A small opening has been made for a straw to go in. The coconut water vendor puts a straw into the ripe orange coconut. Unfortunately he touches the tip of the straw with his hands, but people don't seem to mind! 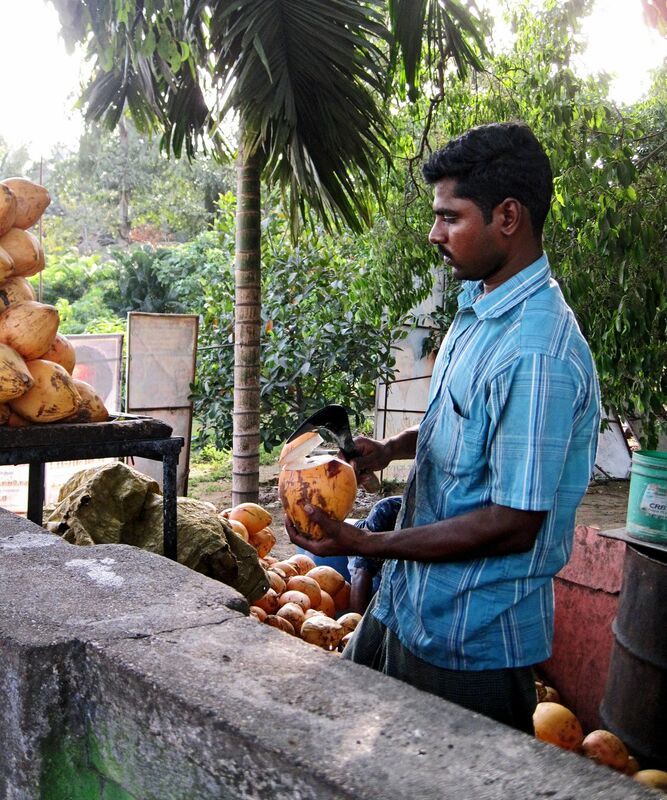 Here he is handing the coconut over to the customer. Job over! 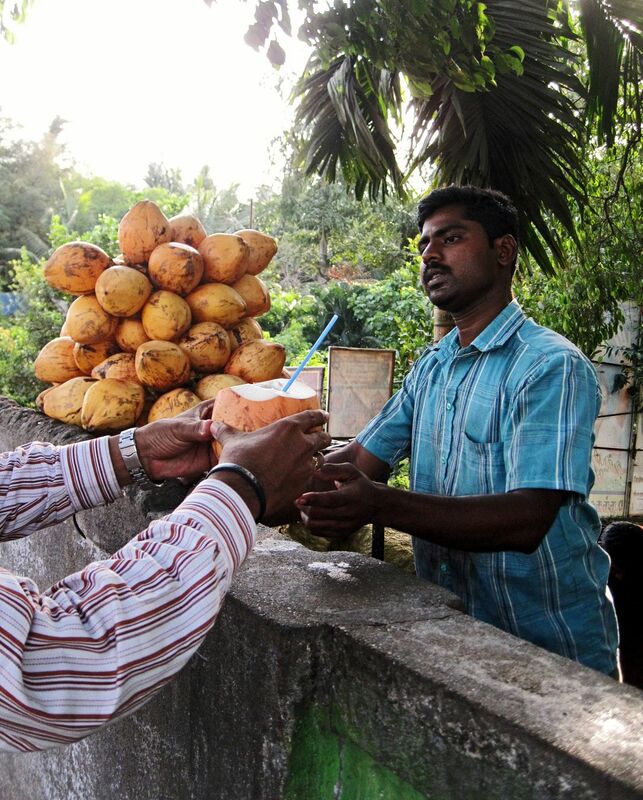 Related Photos: Toddy or Kallu, a palm alcoholic drink or Sugarcane juice vendors or Colorful synthetic drinks sold on the streets of India or Road-side food stalls or street food or Processed Juices in India or check the labels underneath this post.